This post is a sequel :) You can find the first post at Santa brought Sarge & Lil'Bit on a sleigh ride Christmas 2010. Okay....as the proud new owner of three WONDERFUL guinea pigs.....I cannot show favoritism! That is just bad parenting. As noted in prior posting, my niece was scared of Santa's furry friend , "Elvis"! Being both an animal lover and a doting aunt.....the decision was made to make a Christmas adoption! 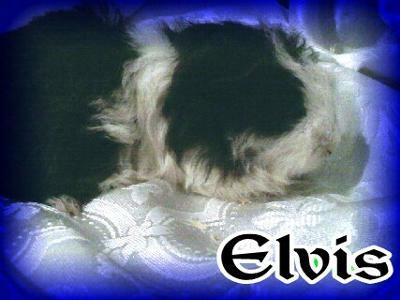 Elvis joined our family! Brankica: Oh, I am so glad to see Elvis here too. All three guinea pigs are so cute. I love those furry animals. Dear visitors, try to do a great thing like Melody did, and find some guinea pigs for adoption you can take home and make happy.